Ok, I went WAY overboard with the amount of books that I had on hand for the kids and parents to read! You can find my list here. There are so many children’s books available on the topic “Under the Sea.” We started out by reading The Pout-Pout Fish by Deborah Diesen. I recently bought the hard-cover of this book for $5 (yeah!!) at Kohl’s. They also have $5 stuffed animals that correspond with the books. Unfortunately, our store was out of the stuffed pout-pout fish (boo!!). 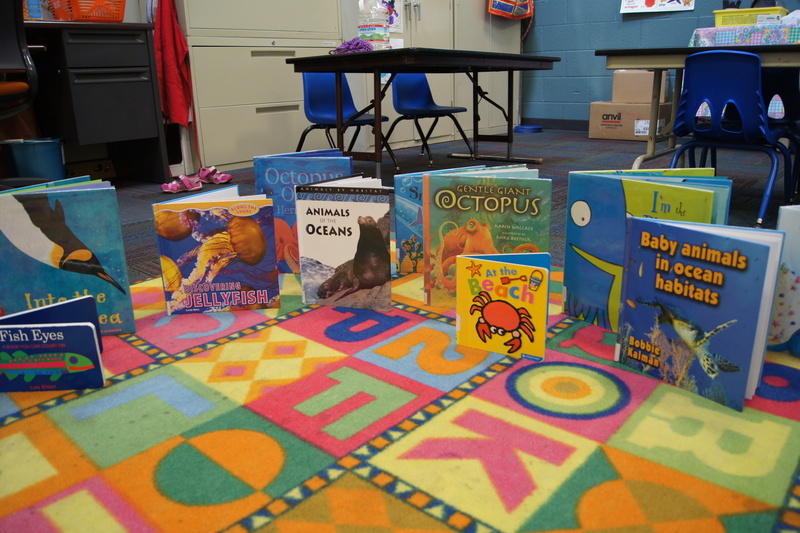 After our story and song, we had our centers…. Since we have been reading “Pinkalicious and the Pink Drink” lately (see my review here), we decided to make our own “pink drink.” First, my daughter dressed like Pinkalicious from the book. She happen to have the exact outfit! 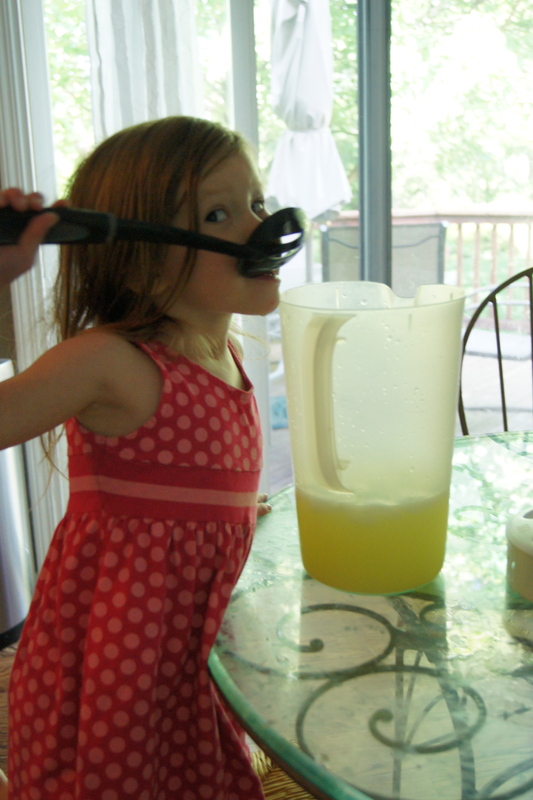 First we made “pretend” lemonade from powder. Of course there was a lot of stirring and tasting! “Not a Box” is a simple tale of very few words. A Rabbit has a box and the reader is asking him about it. Instead of calling it a “box,” the Rabbit replies with different ideas of what it could be, such as a mountain. It encourages the imagination in a child by using an object that they are familiar with and have probably played with before. My daughter really liked it and I am sure that I am going to find her “reading” it to herself. -This is an unique book in that it can appeal to both younger and older children. My daughter, for example, is three and likes to look at the pictures where kids a bit older can appreciate and connect to the imagination of the little bunny. I had to kind of explain what the pictures meant to my daughter. -I was going to suggest to use your child’s imagination with other objects around your house, but the author seemed to beat me to it! She also wrote a book entitled “Not a Stick.” You and your child could read both books and then choose a different object and create your own book and draw your own pictures-how fun!?!? You could even extend the “Not a Stick” and “Not a Box” books with more ideas from your child. My daughter absolutely LOVES this book! There were a couple of parts that she was scared of at first (of course), but she has gotten over it. In case you have never read or heard of “Chester’s Way” before, it is about a mouse named Chester who has a best friend named Wilson. Chester and Wilson are exactly alike and do everything the same. When they come across Lilly, who acts completely different than they do, they want nothing to do with her. Certain events transpire and Chester, Wilson, and Lilly all become best of friends. The moral, if I may, is to appreciate and learn from the differences in each other, no matter how strange they may seem at first. Henkes is able to teach this lesson in a way that it very kid-friendly. His illustrations are simple-looking and although the characters are mice, kids are easily able to connect to the characters. 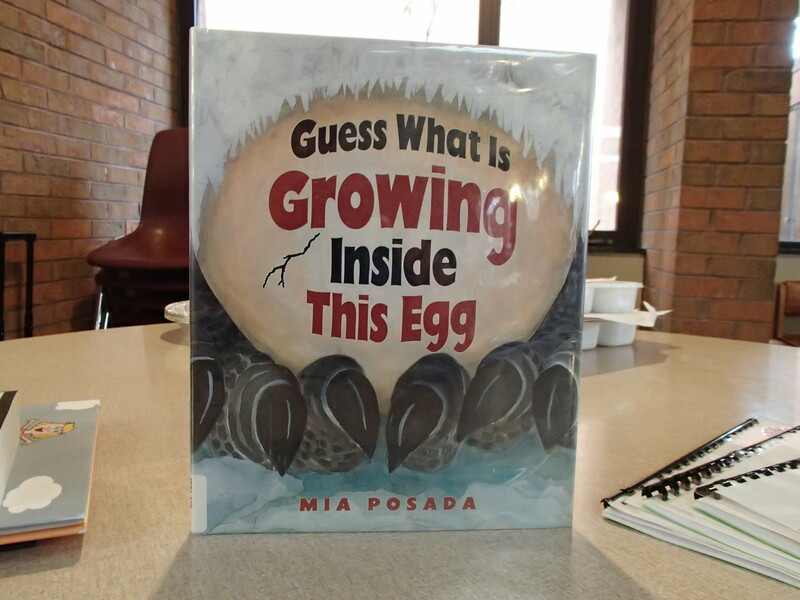 There are a lot of really fun activities that you can do to go along with this book…..
On his website, he has a video about him and how he created some of his illustrations. This would be really fun to show older and younger kids. 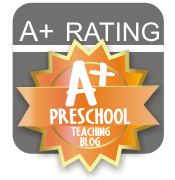 It would be especially fun if your child is into art and/or writing stories. I love a good food extension! Lilly asks for a special breakfast. There is a picture of it in the book. You could recreate it with your little one. It looks like you need bread, cereal in the shape of an “o”, strawberries, and orange or tangerine slices. My daughter keeps asking to make this and I will, it just seems like I am always missing one ingredient. When I do I will post pictures. Lilly also asks for her sandwich to be cut with cookie cutters. This is an easy extension that you can do often. Anything to keep the kids connected to books! Lilly loves disguises! This extension was really fun for us to try! Lilly likes to wear disguises. You can wear them and read the book. We happen to have some of those nose, glasses, and mustache disguises in our house and we read the book wearing them. It was really fun! I think that I saw these at the dollar store at some point, but you could really do any disguise. To connect to “Chester’s Way,” you could read different Kevin Henkes books. There are so many to choose from such as “Owen” and “Lilly’s Purple Purse.” You can talk about and encourage your child to talk about how the books are alike and different.